This half of the year is the best half. My wife agrees, many of us here at Eden agree, and buddy the elf agrees. This half of the year is the festive half. The half which has mince pies, candles, advent, carols, and Christmas. In this weather, nothing feels further from appropriate than Christmas. After all, it’s not like Jesus was born in a sweltering desert climate. Anyway, now that we’ve crossed the threshold from the expectation of summer to the expectation of Christmas, we take a look at some of what we’re looking forward to for the rest of 2018. Leading with an out and out favourite, this year sees an all-new Max Lucado book. 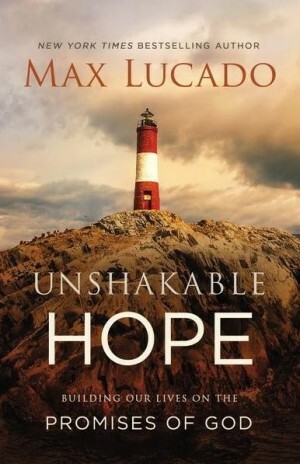 A gentle mentor for life, Max Lucado shows how we can build more of our lives on God’s promises in Unshakeable Hope. Master of long titles and lasting truths, John Ortberg takes the judicial route with his new book Eternity is Now in Session. Revisiting what salvation and eternal life mean, he examines what motivates our faith, and why. Both of these are due out September and can be pre-ordered today. A little closer in the calendar, Rachel Gardner and Krish Kandiah both have new books out in July. The first, The Girl De-Construction Project, takes a sledgehammer to two-dimensional ideas of being a woman. You can read more about it here. And from Krish Kandiah we have Faitheism. Showing how Christians and Atheists aren’t the enemies they perceive each other to be, Faitheism is a different approach than most, but not all, to the belief debate. And for fiction fans, Wendy Alec is back! Releasing the next book in her Chronicles of Brothers series this September, she promises to up the game with End of Days. For something a lot less apocalyptic, Tessa Afshar has a new Biblical fiction book out this August. Thief of Corinth is set during the years of Jesus life and features a bold and brave new protagonist. And then there are the Christmas and Advent books. As well as a new entry in Tom Wright’s regular festive output, this time Advent for Everyone explores Luke’s gospel, there is also a follow up to Art of Lent: The Art of Advent. Another Advent edition of a bestselling new Lent book, there is Wild Advent. Encouraging families to explore creation in the days leading up to Jesus’ birth, the book puts the Advent in adventure! Turning to Bibles now, the rest of the year has some very exciting editions lined up. For younger readers, the Inspire Bible now has a girls-edition for ages 8-12. The Inspire Bible for Girls features lots of beautiful drawing to colour, as well as extras written specifically for young girls. Going a little bit older, and not just for girls, there is a new Good News Youth Bible due out this year as well! With a great new splatter design, and developed over 3 years of work, this youth edition has taken on board feedback from teenagers to help create the Bible they want and need. And then we have The Bible for Everyone. Coming from John Goldingay and Tom Wright, whose ‘For Everyone’ studies have proved invaluable guides to Bible study, The Bible for Everyone is highly-accessible for new Christians, and offers a new perspective for seasoned believers. Also from SPCK, the NLT Bible gets a British makeover in this first run of Anglicised NLT Bibles. With five to choose from, these editions help introduce a dynamic and poetic Bible to UK Christians. 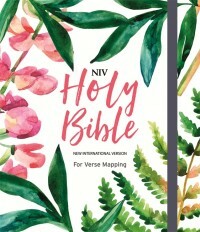 And finally, we have the NIV Bibles for Verse Mapping. Showing a new, laser-focused way to study the Bible for yourself, these Bibles mix journaling with close reading and reflection in an engaging way. To find out more, check out our Verse Mapping Guide. As well as books, there are some fantastic albums we can’t wait to pipe through our headphones and car speakers. Firstly, Phil Wickham brings out a new album this August, titled Living Hope. As well as new Phil Wickham, we also get a solo album from songwriter and Housefires vocalist Pat Barrett, which promises to be an album to look out for. 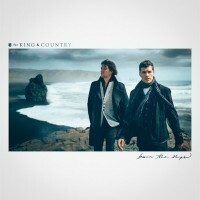 for KING AND COUNTRY are back again with Burn the Ships. Promising to be filled with dramatic melodies and personal lyrics, this album shows the group putting all they have into creating a powerful and epic release. And finally, on the horizon, Chris Tomlin has a new album coming out in 2018! Whilst there is no name, tracklist, and little concrete information, we are still incredibly excited that this exists. Listen to the first single from Chirs Tomlin's new album below!